Wrinkle Revenge facial cleanser rescues your skin from the ravages of daily life that can prematurely deprive it of a youthful, vibrant glow. This gentle cleanser effectively exfoliates cellular build-up and removes excessive surface oils, residue caused by pollution and make-up, leaving skin clean and radiant. 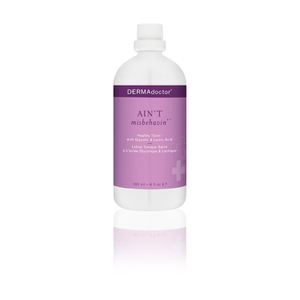 This soap free, oil free, pH balanced, buffered glycolic acid cleanser is enhanced by free radical fighting antioxidants and works synergistically with your daily rejuvenation regimen. Ideal for most skin types. Use morning and evening or as directed by a physician/skin care professional. Apply to dry skin and rub gently in a circular motion. Rinse with warm water and gently pat dry. Aqua (Water), Glycolic Acid, Sorbitol, Cetyl Alcohol, Stearyl Alcohol, Ammonium Hydroxide, Ammonium Lauryl Sulfate, Camellia Sinensis (White Tea) Leaf Extract, Punica Granatum (Pomegranate) Extract, Ubiquinone, Sodium Ascorbyl Phosphate, Tocopheryl Acetate, Glycerin, Caprylic/Capric Triglyceride, Methylparaben, Propylparaben.